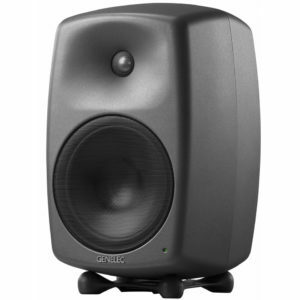 Alesis Elevate 3 studio speakers deliver full-range sound with impressive clarity and warmth to all your mixes, masters and multimedia content. 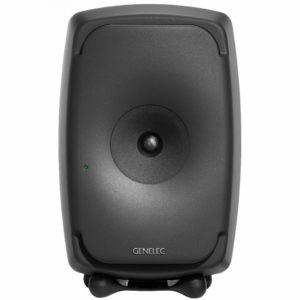 Elevate 3 speakers bring out every detail of the sound, unencumbered and crystal clear. 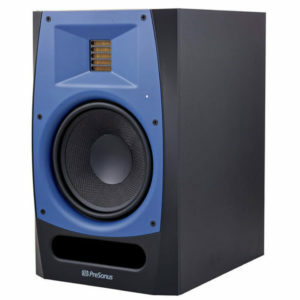 Unlike conventional speakers that use vibration-prone plastic cabinets, the Elevate 3’s dense wood cabinets suppress clarity-robbing resonances, resulting in clearer sound and stronger bass. 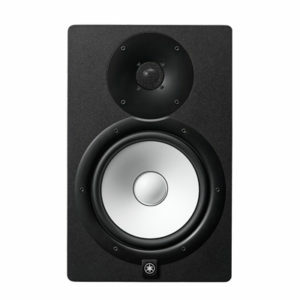 Elevate 3 studio speakers contain powerful, three-inch woofers and crisp-sounding one-inch silk-dome tweeters that deliver full lows, clean highs and a precise stereo image. 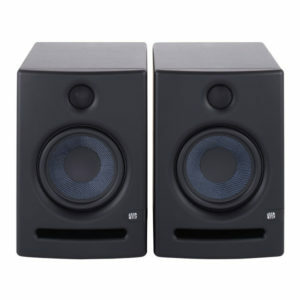 The internal amplifier is custom-designed and equalized to work perfectly with the Elevate 3’s drivers, for impressive impact and output capability. 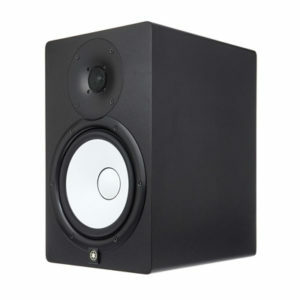 For ease of operation, the Elevate 3’s on/off/volume knob is conveniently located on the front panel of the right speaker. Packaged in stereo-matched sets, Elevate 3 studio speakers give you everything you need, all in one box. 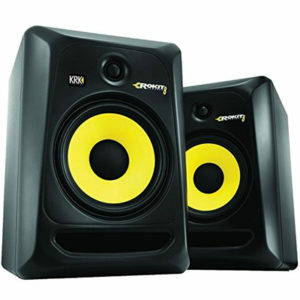 Alesis has been creating studio monitors for nearly a quarter century. In that time, we’ve learned a thing or two about optimizing sound and sonic clarity. 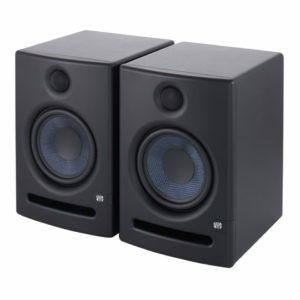 Built using technology adopted from our award-winning Monitor One and M1Active professional studio monitors, Elevate 3 studio speakers are the perfect way to upgrade your computer or mobile device experience. 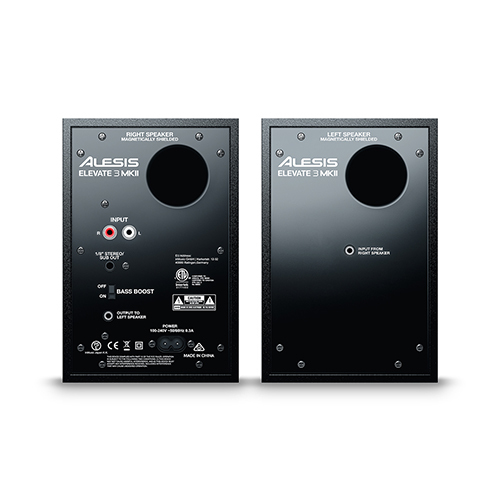 Elevate 3 speakers leverage Alesis’ experience in designing studio loudspeakers by employing custom-designed components that reproduce sound accurately and naturally, regardless of the frequency content or volume. On the rear panel is a pair of rugged RCA jacks, perfect for connecting mixers, interfaces, and other audio gear. A 1/8-inch headphones jack lets you defeat the speakers’ sound for private listening at any time. 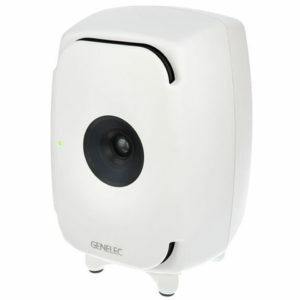 Connecting the speakers is easy, using just a standard 1/8-inch cable (included). 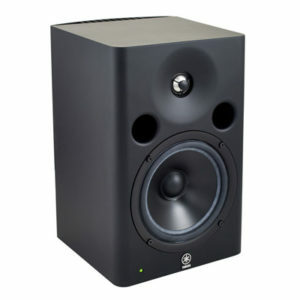 Elevate 3 studio speakers are accurate and smooth, but if you need a little more low-end punch, a convenient bass-boost switch does the trick. If you need even more power and low-end extension, Elevate 3 features a subwoofer output compatible with virtually any outboard powered subwoofer. 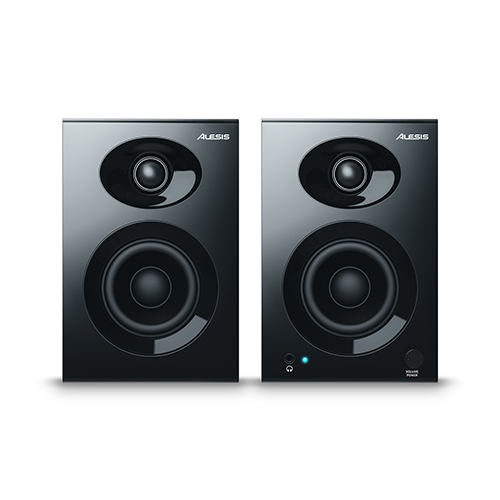 Trust your sound to the clarity, precise design and premium performance of Alesis Elevate 3 studio speakers. 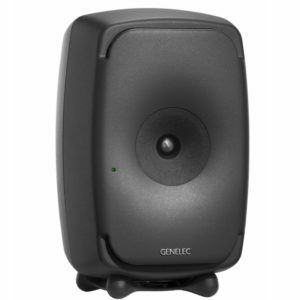 Styled in a white finish, the Genelec 8341A is a point-source monitor meant for near-field applications in the realm of pro audio. 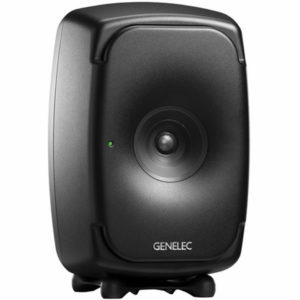 It features a coaxial design which nestles driver and tweeter—as well as two 6.6” woofers—in one location, thus aligning their acoustical axes, and securing an accurate point of sonic radiation. 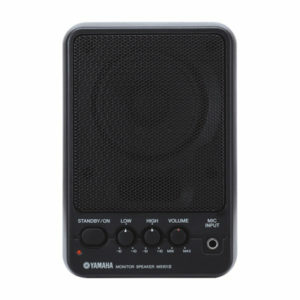 It’s also worth noting the 8341A’s Intelligent Signal Sensing technology, as well as the connections this technology affords you: ISS automatically detects whether analog or digital sources are being run into the monitor and allows the speaker to produce sound accordingly. To put it another way, one XLR input accepts analog signals, the other XLR takes AES/EBU, and the monitor itself automatically selects the input source. 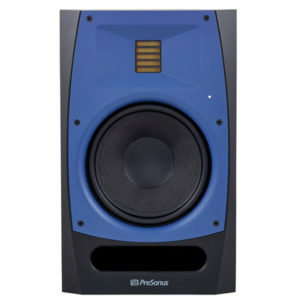 The Eris E5 Two-Way Active 5.25″ Studio Monitor from PreSonus delivers an accurate response with tight bass and a clear upper end. 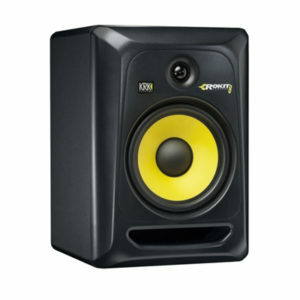 The Kevlar low frequency transducers, low-mass silk-dome tweeters and responsive Class AB amplification combine with acoustic-adjustment controls to create a versatile and adaptable listening system. 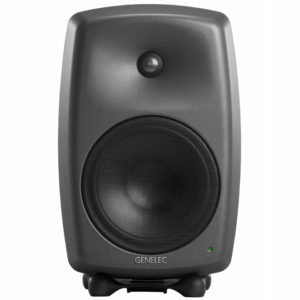 The dark gray 8350A 350W 8″ Active 2-Way DSP Monitor Speaker from Genelec is an advanced 2-way monitor speaker suitable for use in professional studios. 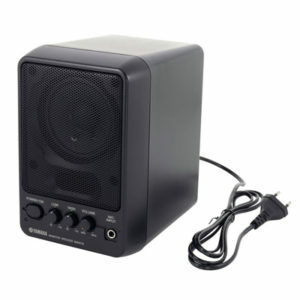 The speaker has a Minimum Diffraction Enclosure that houses a 8″ woofer and a 1″ tweeter. 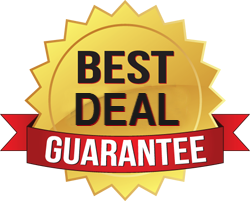 A Directivity Control Waveguide works with the MDE enclosure to provide a flat frequency response, excellent imaging precision, and minimal listening fatigue. 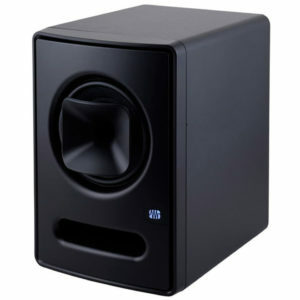 A flow-optimized bass-reflex port provides solid low frequency response without compression, distortion, or port noise. The bi-amplified design provides 350W of total output power for a strong, clear performance with exceptionally low distortion. 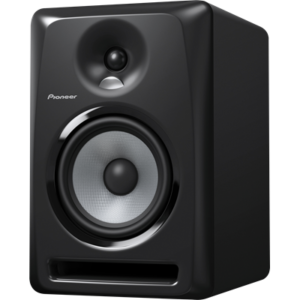 The R Series R65 AMT Monitor from PreSonus features a custom 6.8in2 Air Motion Transformer (AMT) tweeter that responds to subtle waveforms and high-frequencies. This allows you to hear the air and the greater sense of space that is characteristic of audiophile recordings. 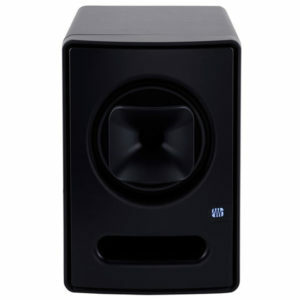 The R65’s transparent and accurate sound makes it great for use in both commercial and home recording studios as well as broadcast and post-production environments.